﻿ Best Price on Rondel Village in Negril + Reviews! 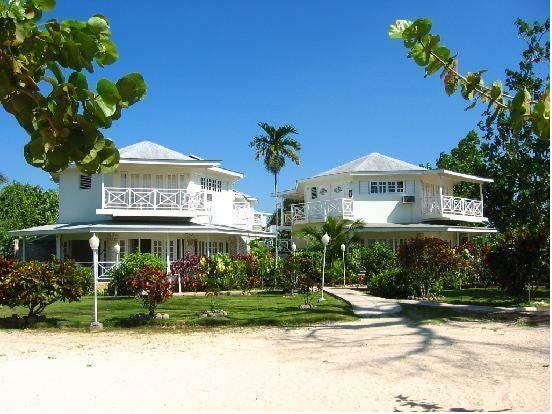 Rondel Village is on Jamaica’s famous white sand 7 Mile Beach. It has 2 pools, one with a waterfall, and 2 hot bathtubs, as well as an on-site restaurant. Rooms at Rondel Village have views of the grounds. They come equipped with a refrigerator and include cable TV. Wi-Fi access is also available. The on-site Rondel Restaurant and Bar specializes in seafood and vegetarian dishes. Room service is available. The resort also has guest laundry, a tour desk, and a currency exchange. Rondel Village’s location near the beach allows guests to enjoy snorkeling, water skiing, surfing and swimming right outside their rooms. The Times Square Mall is seconds away. 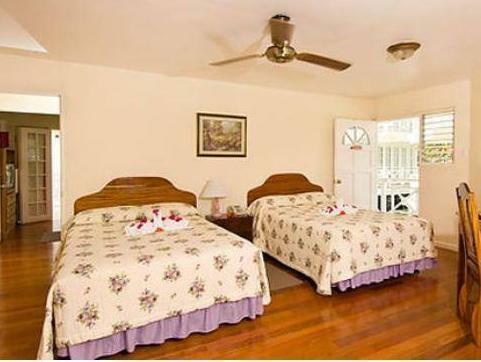 Sangster International Airport is 30 miles from the resort. Upon check-in all guests must present a photo identification and the same credit card used for booking is required. All special requests are subject to availability upon check-in. Special requests cannot be guaranteed and may incur additional charges. Please note that only registered guests are allowed in room and villas. This hotel is well situated on the Negril beach. Great staff and rooms every bit what they say they are. There is a restaurant on the property for three meals a day, but not operated as all-inclusive. Meal plan is optional. With the Caribbean just steps away it isn't clear why you might need a swimming pool but for those who prefer a pool, the very small pool would disappoint. Not me. Hotel is very near "Jungle", a night spot that hops on Thursday and Saturday nights. I sleep like a log, but it was pretty loud and if you are bothered, it could be a problem. May have been better if I'd closed the windows and turned on AC. This is a very nice hotel. The rooms are large with a big balcony. There's a little pool and jacuzzi but who needs it when the hotel is on the beach where there's a bar where Omar will make you fabulous Jamaican (or other) drinks. The restaurant is one of the best we ate at in 2 weeks around Jamaica. Some people on the staff are friendly in a formal sort of way which is strange for Jamaica but overall very nice.